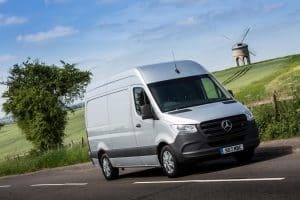 Mercedes-Benz Vans has announced its entire Sprinter range will see Stop/Start technology come as standard for buyers. Ensuring enhanced fuel efficiency for operators, Stop/Start technology turns off the engine when a vehicle comes to a standstill and automatically restarts it when the driver applies the accelerator. The Worldwide Harmonised Light Vehicle Test Procedure (WLTP) is used to measure fuel consumption and emissions for vehicles operating in Europe. It sets the current benchmark for performance in this important area. He added that ensuring all Sprinter models now come with Stop/Start as standard will further improve fuel efficiency for owners and makes the Sprinter a highly desirable choice for businesses focused on their own emissions compliance. Indeed, WLTP compliance will ensure “a more realistic, comparative benchmark for consumption and emission figures” and means companies can be confident they are playing their part in protecting the environment.